Every once in a while a small controversy comes along that helps explain a big problem. This National Football League season has provided such a controversy. 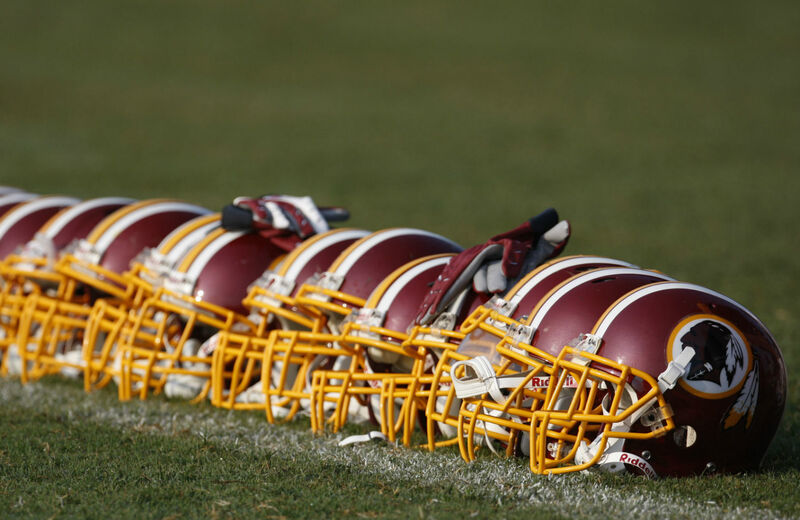 The name of Washington, DC’s football team, the Redskins, is under fire. “Redskins” is an offensive term and therefore inappropriate for the team representing our nation’s capital. That’s kind of obvious, right? Most Republicans don’t think so. They defend the name, as they do other Native American–based team names, such as the college football champion Florida State Seminoles, calling them tokens of “honor.” They claim that the names celebrate a “heritage” and “tradition” of “bravery” and “warrior spirit,” and they publicly wonder: What’s the problem? The Onion, that fine news source, captured it in one neat, snide sentence: “A new study…confirmed that the name of the Washington Redskins is only offensive if you take any amount of time whatsoever to think about its actual meaning.” So what’s keeping Republicans from thinking about it? That said, the GOP’s power brokers know the party is facing a demographic time bomb, so why do they let their media minions form an offensive line to protect the Redskins name? Nationally, the Republicans’ short-term hopes and long-term survival may hinge on whether they can manage to make the party welcoming to non-whites. Yet they proudly wear these blinders, as I once did, continuing to “honor” American Indians—as they never would a team called the Whiteskins, the Brownskins, the Blackskins or the Yellowskins. Here’s a little breakdown on why. Worst of all is the “Trinity of Evil,” the “Socialist Trifecta”: Senate Majority Leader Harry Reid, House minority leader Nancy Pelosi and, above all, President Obama. They’ve all come out against the Redskins name. These messengers could say that the sky is blue, and the natural Republican inclination would be to think that they were lying for partisan gain. The Enemy is relentless, implacable and vast. It must be stopped. Republicans love to knock Bill Clinton for saying, “I feel your pain.” We are living in “The Age of Feelings,” wrote National Review columnist Dennis Prager, making fun of people who might take issue with the Redskins name. That magazine recently ran an article entitled “Against Empathy.” The implication is clear: Feelings are for losers—that is, liberals, those sensitivity-preaching, holier-than-thou, bleeding-heart, sad sacks of emotions. Grow a pair. There are, of course, other reasons why so many Republicans are blind to the wrongness of the Redskins name that can’t be blamed on the GOP. There are at least three big mental roadblocks in the way of Republicans’ coming to terms with the impact of “Redskins” (not to speak of racism itself). Unlike the blinders, these roadblocks are shared by white Americans across the political spectrum. How can a Republican keep a straight face and write that “[n]obody names their football team the Losers” when talking about Native American–based team names? Even with our crummy educations on the subject, there’s no way anyone can claim that Indians have come through the past centuries as history’s winners. But Republicans remain blind because they are almost all white, and white people—or at least non-immigrant white men—have never been a losing tribe in this country. Sure, plenty of whites may feel victimized one way or another when life doesn’t go their way, and it’s not only Republicans who attribute it to race. Some feel excluded from the white establishment, but that’s a class issue. Some believe that their failure to snag a job or a spot in college is due to affirmative action, but that’s because they believe they are being denied something that is already rightly theirs—an entitlement, if you will. But this is nothing like being in a losing tribe. If more Republicans had an intuitive feel for the experience of American life as a minority (or a woman), they’d probably spend way less time making fun of “the politics of victimization” or promoting their version of “melting pot” America—a country where, no matter your color, you are supposed to dress, act and aspire to be white. And the GOP might actually stand a chance of figuring out how to attract more than a token number of non-white voters nationally. To recognize that names matter, however, means recognizing that human experience matters—not just the experiences of approved people, but of all people. Republican ideology is based on protecting its in-group, fighting off solidarity with out-groups, and claiming that success and failure in American life is a moral story of meritocracy alone—to the extent, of course, that government regulations don’t get in the way. As much as Republicans may formulaically say that they care about everyone, the party is scared to death of empathy. It could lead Republicans to get past their false moral narrative and see the many ways that their policies harm minorities, women, and the poor. Empathy could even lead Republicans into embarrassing historical terrain where they might learn that, through germs and violence, whites killed off millions of Indians, and that “Manifest Destiny” is just a marketing catchphrase hiding the fact that the United States broke off from one empire and immediately started its own on this continent. And once they recognize that, they might even start noticing our empire abroad or getting serious about equality at home. Next thing you know, they might start pushing to increase taxes on the rich and funding for Food Stamps or Head Start or Medicaid…Republican Armageddon.